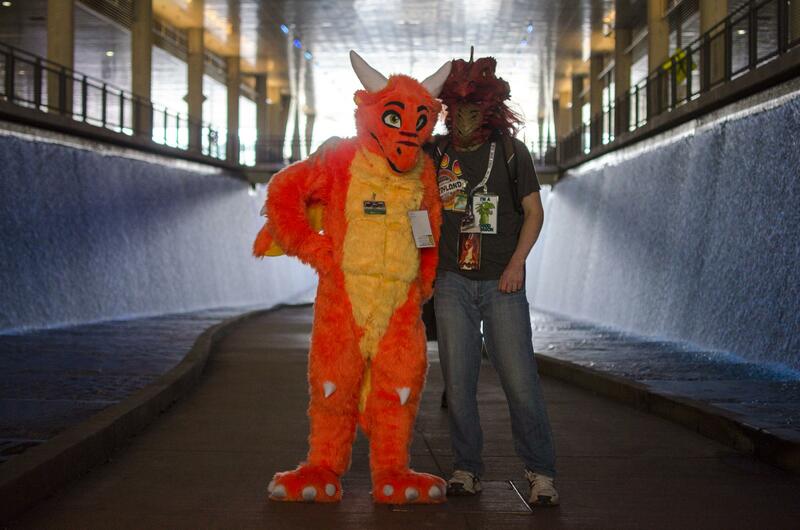 Furries parade through the David L. Lawrence Convention Center Saturday. 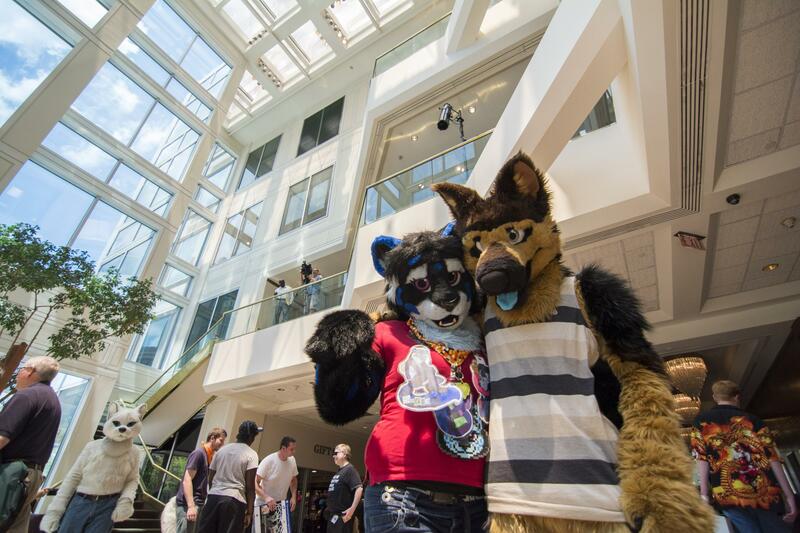 Hundreds of furries gather for a group photo Saturday at the David L. Lawrence Convention Center. 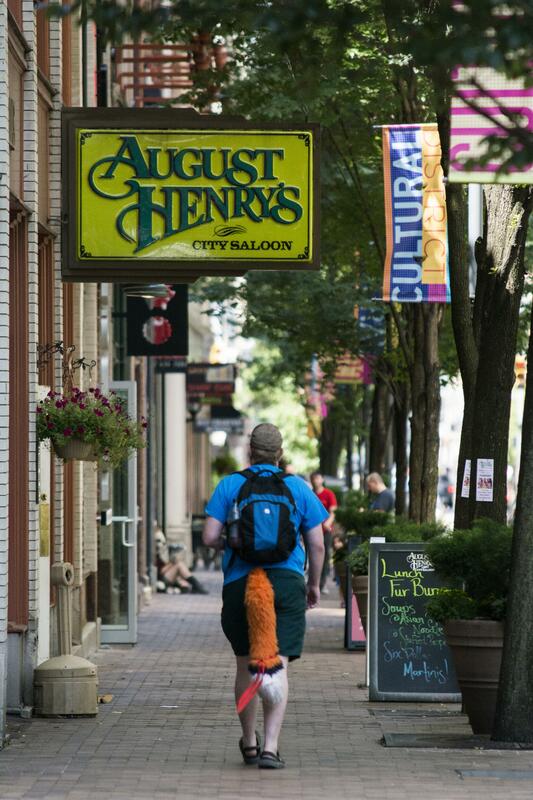 ​​​​Furries turn heads Friday at the local restaurants outside of the David L. Lawrence Convention Center. 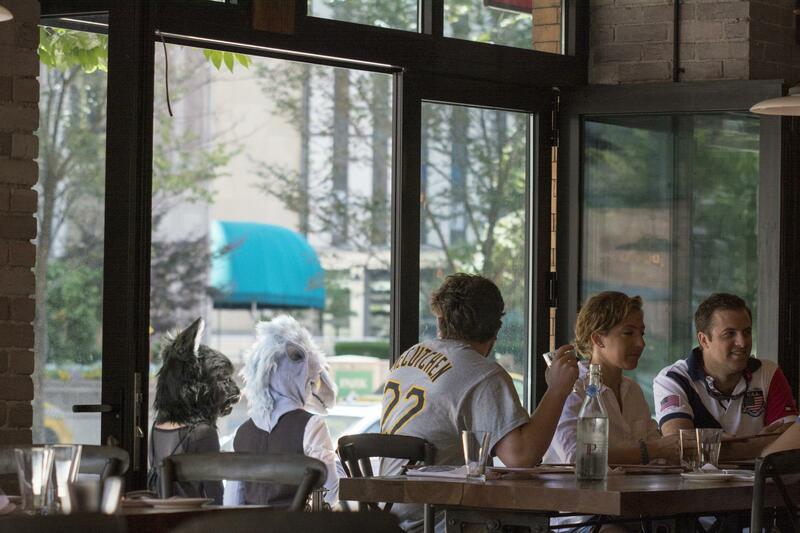 It's not uncommon to see tails and other animal costumes in downtown Pittsburgh during Anthrocon. ​Zarphus, a hawk from Connecticut, checks his phone during the excitement produced by Anthrocon. ​Wiki (Evan), from Burlington VT, poses with a fellow dragon, Grenge. Furries Shade and Kobi from Montreal, Canada pose for a photo at the Westin Convention Center hotel Wednesday as Anthrocon gets underway. 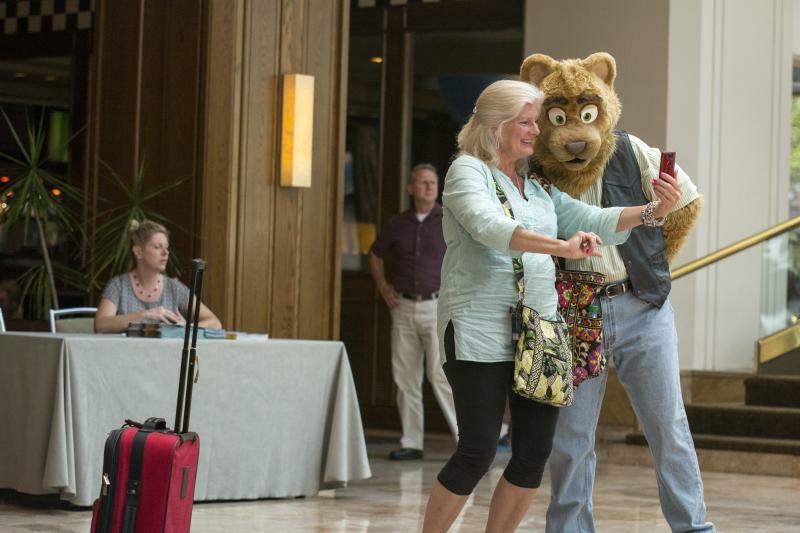 Rhubarb the Bear from Orlando, Florida poses with a hotel guest as Anthrocon gets underway on Wednesday at the Westin Convention Center hotel. 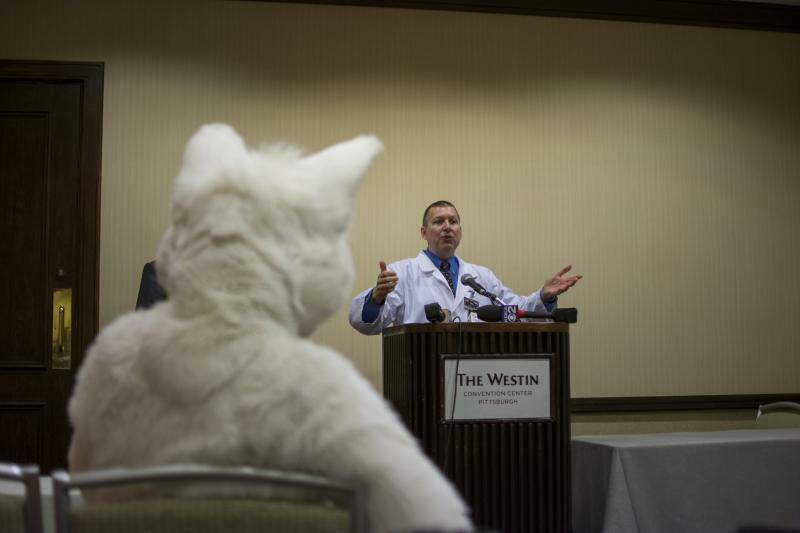 Samuel Conway, Anthrocon Chairman and CEO, greets the media (along with some with furries) during a news conference Wednesday. A local business posted a sign welcoming back the furries. 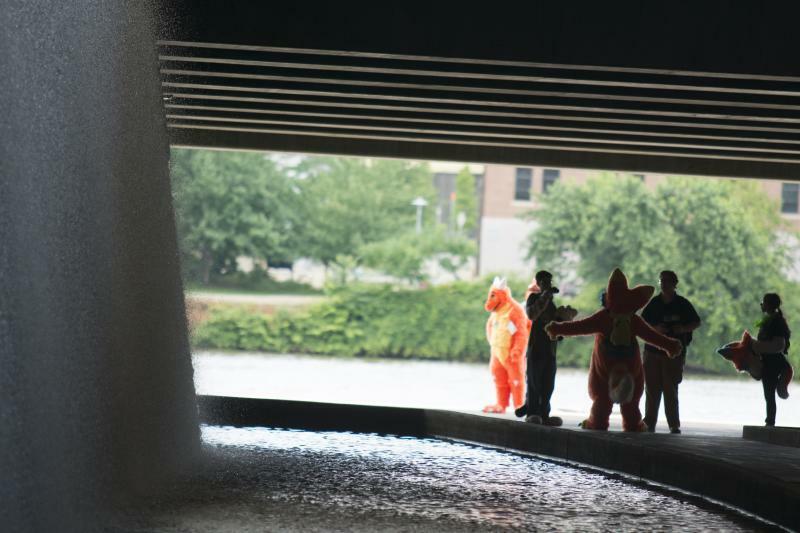 The world’s largest furry convention is under way in downtown Pittsburgh. The convention for artists, animators, costumers, puppeteers and fans has called the Steel City home since 2006. 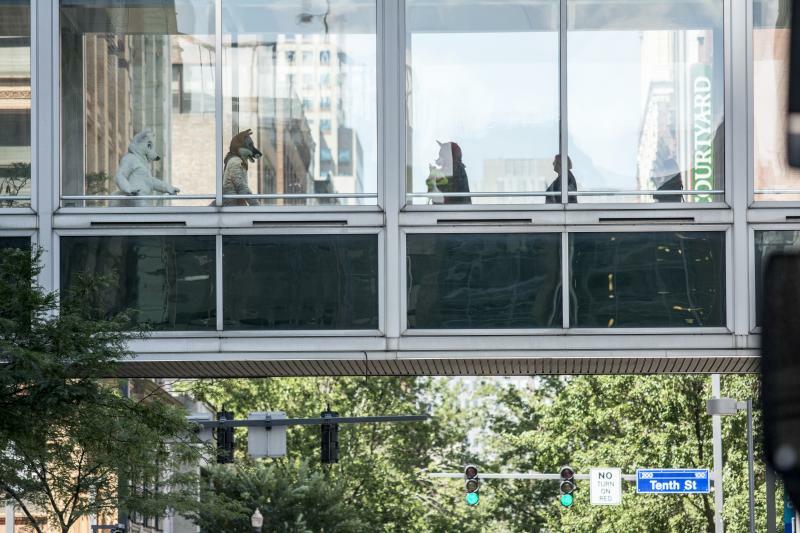 “By the time we’re finished with this particular convention, Anthrocon will have left $41 million of economic activity in the Pittsburgh region over the last nine years,” said Craig Davis, president and CEO of Visit Pittsburgh, the city’s convention and visitor’s bureau. The gathering has grown each year. This year some 5,600 attendees are expected. Anthrocon Chairman and CEO Samuel Conway said all that’s needed to attend is a passion for animals. Conway said there is someone from every state but North Dakota in attendance. Some dress in full fur suits, some wear ears and/or a tail, others wear street clothes. Conway said furries cover all professions, including police officers, teachers and engineers. Kazee, a wolf from New Hampshire, said when he’s not at Anthrocon, he works for a weapons manufacturing company. 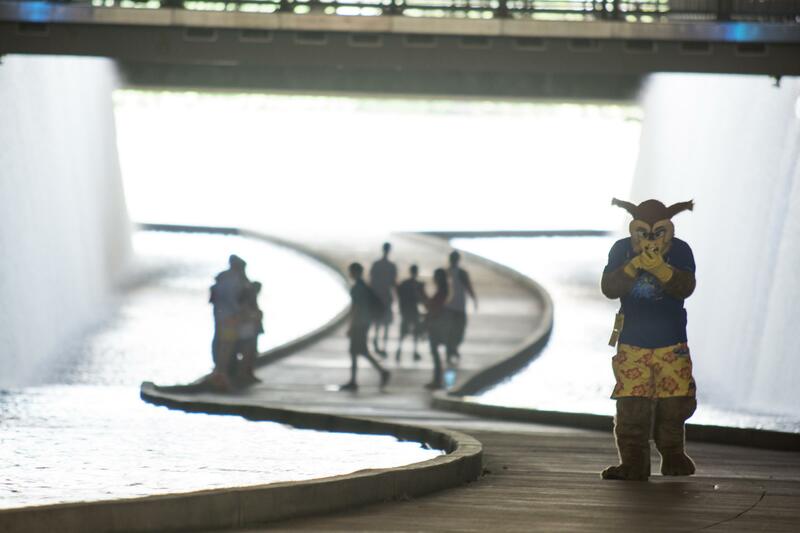 Anthrocon has raised more than $170,000 for charities since 1997. This year it is raising money for the National Aviary. 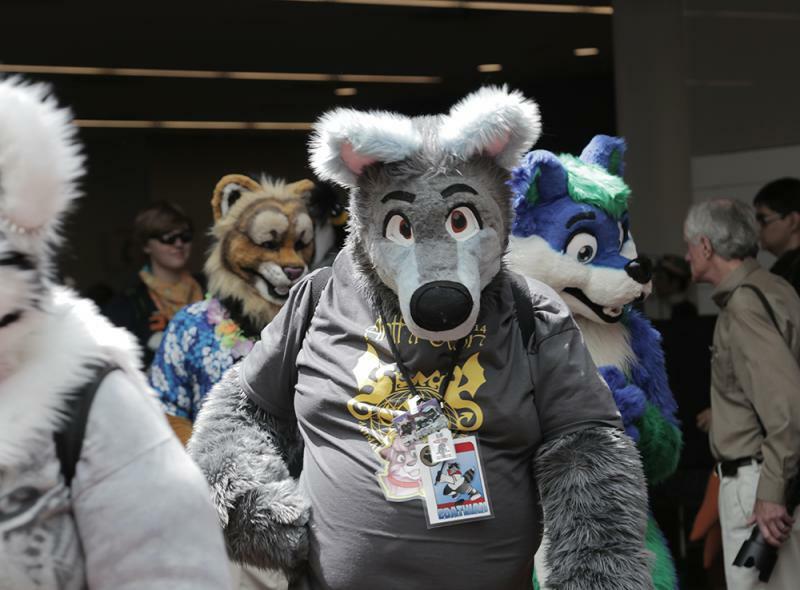 Anthrocon will go on through the weekend, with an indoor furry parade at the David L. Lawrence Convention Center on Saturday.